"In the face of an enemy, in the heart of one man, lies the soul of a warrior." The movie came out in December 2003, and the movie is rated "R." The reason the movie is rated "R" is because it has strong language and battle sequences. Captain Nathan Algren realizes that his problems worse than before. He is beginning to realize the world has changed since the Civil War. Algren had been a solider in the war, and he has been selfish throughout the story. He was once a courageous man, but he has now not as respected as he once was. This is especially true out West for the Indian Campaigns as he brings them out west. The audience sees Algreen lose his soul somewhere on the plains of the Washita River. In addition, the audience sees a solider lose his good life. The solider is the last leader of the warriors, and he use to have people who served him as it allowed them to serve their country too. 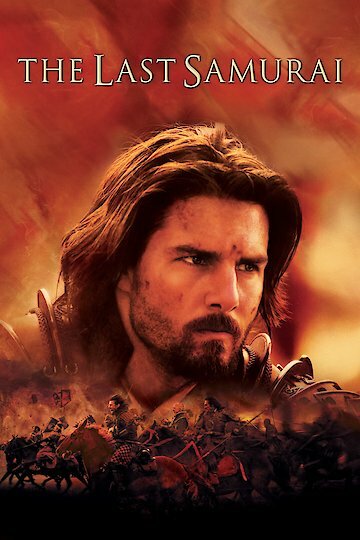 Some of the stars and their respective characters are: Tom Cruise as Captain Nathan Algren, Timothy Spall as Simon Graham, Billy Connolly as Sergeant Zebulah Grant,Tony Goldwyn as Colonel Benjamin Bagley, Ken Watanabe Katsumoto, and Hiroyuki Sanada Ujio. The movie is full history as it shows the way people use to live. If you like true stories, you will like this movie. The movie is not a true story, but it could have happened. In addition, Tom Cruise is another good reason to see the movie. Will he decide to go with honor and respect? Or will he decide to disrespect his fellow man? You will have to watch the movie to see how it ends! You will be sure to enjoy the movie as it is full of action. You will see how the entire world changed in the years after the Civil War. The Last Samurai is currently available to watch and stream, buy on demand at Amazon, Vudu, Google Play, FandangoNow, iTunes, YouTube VOD online.